The diet and exercise industry is huge. These industries really cash in on our need and desire to be physically fit – to the tune of trillions of dollars. 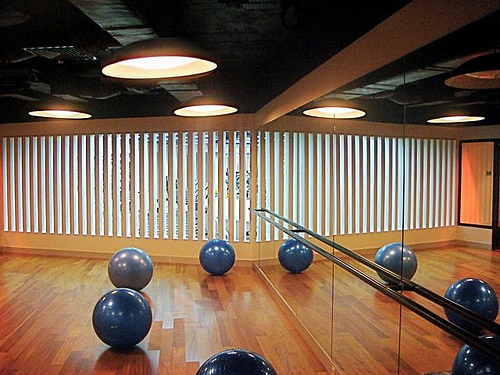 Over the decades, numerous different exercise systems and equipment have been developed. Some of it is good and effective. Some of it is bad and dangerous. Some is just plain weird. What are the 5 weirdest fitness equipments invented? First and foremost, inventors of exercise equipment tend to look towards how well their device will benefit us from a physical fitness standpoint. Because the competition in the fitness industry is so vast, they are always looking for a way to make their equipment stand out from the others. This often results in weird equipment. The thing about it is, no matter how weird it is, if you believe it will be effective, and you find it interesting or funny, you are likely to buy it. These inventors and manufacturers know this – so we get stuck with a great deal of weird, and even ineffective fitness equipment. Dumbell Phone – The dumbbell phone is a phone receiver with a dumbbell attached to it. The concept is that you can work out your arm each time you answer the phone. Naturally, it didn’t sell very well. Coin Operated Fitness Equipment – This is a device found in Japan, and operated with coins – like a vending machine. You stand on the footpads, and the machine moves you – you do not move. The machine promises to strengthen your core, but there is no evidence that it actually does. GyroGym – This exercise equipment resembles a large hamster ball. While it is a lot of fun – providing you don’t get sick to your stomach – it has very little benefit from a fitness standpoint, but it takes up a great deal of room, and cannot be used indoors due to its size. Aquavee Portable Swim System – This is essentially a large rubber band that is attached to your body while swimming to provide resistance. Because water provides its own natural resistance, this piece of exercise equipment was always thought to be a gimmick. Velcro Shoes – Velcro shoes were sold with a Velcro pad, and the purpose was to provide resistance while walking in place on the pad. There are many more effective ways to walk and add resistance than this system, and those methods wouldn’t be nearly as boring. Should You Invest in Questionable or Weird Fitness Equipment? As weird as some of the fitness equipment out there is, you can be sure of one thing. It is all rather pricy. This alone should cause you to pause and really consider what it is that you are buying. Never buy any expensive fitness equipment without first getting the opportunity to try it out for yourself. Often, if the equipment is really any good, it will be made available in your local gym or health club. Visit the gym and try it out, and if it is really expensive, try it out multiple times before making a purchase. For weird or strange fitness equipment, learn to look past the gimmick side of the equipment, to discover whether the fitness equipment will really be beneficial for you from a physical standpoint before making that purchase. Finally, do not purchase any expensive fitness equipment that does not offer a money back guarantee. Ideally, you should be able to get a refund within ninety days of your purchase, but sixty or thirty days is acceptable for some types of equipment.